This model is extremely rare. Listed in the 1974 pricesheet but never fully released. It has interchangeable pickups and electronics. 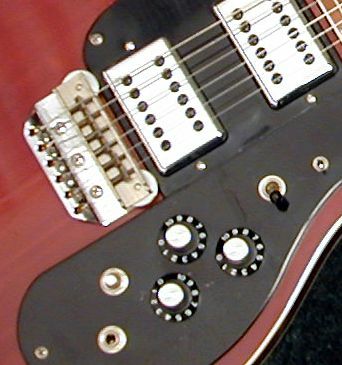 These features were mounted on a detachable pickguard along with with separate tone and volume controls for each pickup. There used to be several sets of pickups and electronic modules for this guitar, which were all interchangeable. 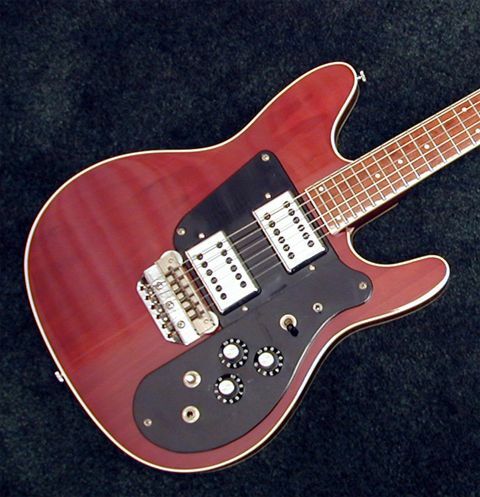 In pickups, there was a Tele-type setup, a Rick single coil, and active pickup not dissimilar to EMGs a decade later, and a Les Paul-type humbucker. For circuits, there was a basic two control, a Rick 5 control, and active 6 control with parametrics. Maybe this model was too modern for the Rickenbacker enthusiasts at that time? 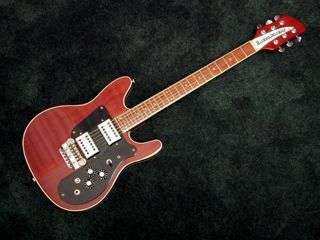 Now, when comparing this guitar (the shape of the body) to the modern Model 250 it's obvious that this was a forrunner to that model. The body is doublebound with a detachable neck. Bound 24 fret fingerboard with dot markers. This very beautiful and rare instrument is John Hall's personal guitar.